We all know how typhoons/hurricanes/cyclones create tons of damages and injuries over and over and over again. These usually affect cities and even large metropolitan areas just above the equatorial belt, and which are relatively near a large body of water to the east. The Pacific Ocean, for example, affects Japan, the Philippines (except its southernmost areas), and a few other countries, while the Atlantic Ocean affects Florida and all the way up to New York and adjacent states. The South China Sea and the Indian Sea are known culprits as well. 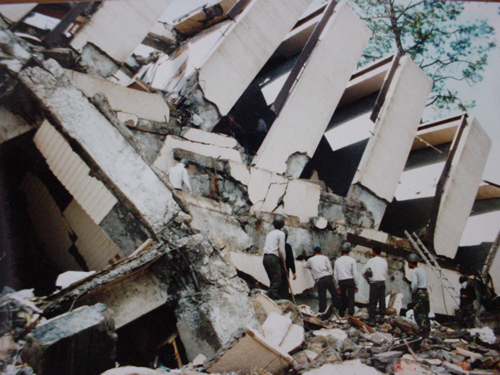 This is a must-read-for-all article in the Inquirer by Dr. Benito Pacheco answering "10 Frequently Asked Questions" related to the earthquake safety of buildings in the Philippines.